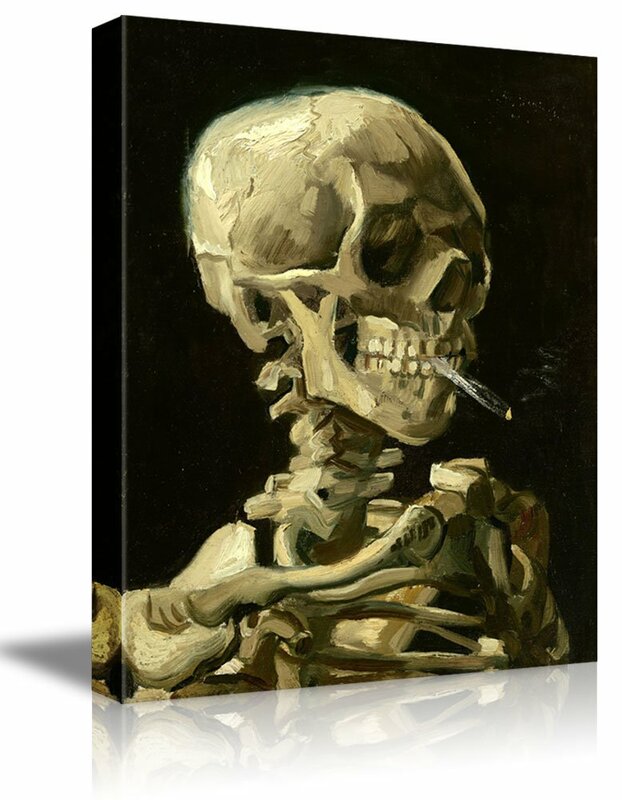 Wall26 -Skeleton by Vincent Van Gogh Painting - Canvas Art Wall Decor - 16"x20"
This is a nice, long picture that is great to look at in my bathroom! Packing was sufficient. Picture is nicely stretched. Colors seem vibrant. Very disappointed that the full painting isn’t actually there. The bottom of the village is completely gone. I would imagine it has to do with the sizing. In looking at the product images, a very small amount of the original painting is cut off, far less than is missing in the product I got. Keeping it as it is still a nice piece for the money and I don’t want to hassle with returning. However, I was very much looking forward to an accurate representation. How they chose to crop it ruins the balance of the work. Looks nice in my kitchen. Very good print, the colors are just as vibrant as they are in the picture. Was a gift, hangs neatly in the recipient’s office. However, it’s not textured, just canvas. Very nice. Have it hanging in my office now. Getting great compliments on this already. Arrived promptly - packaged very well. Beautiful colors - looks better in person than on website.